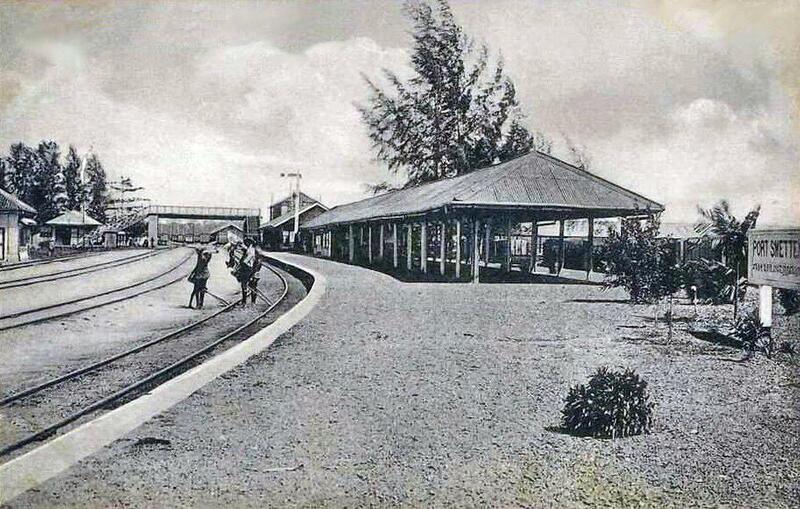 The railway line from Kuala Lumpur to Klang was one of the first lines in the country. 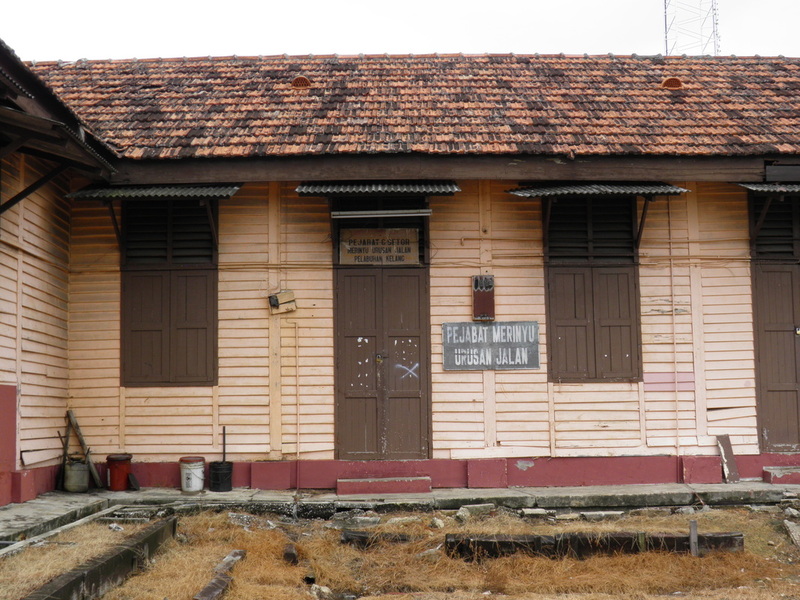 It was opened by the Selangor Government Railway in September 1886 and ran for 20 miles from Kuala Lumpur to Bukit Kuda, near Klang. 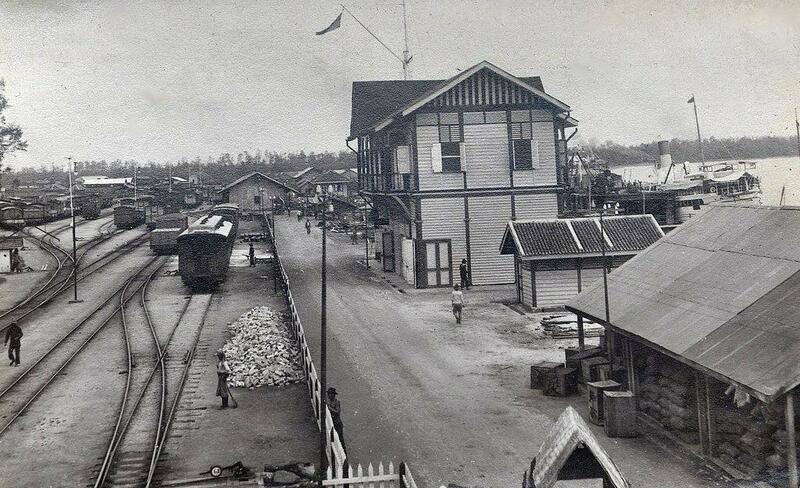 Four years later, the Connaught bridge over the Klang river was opened and brought the railway to Klang town. 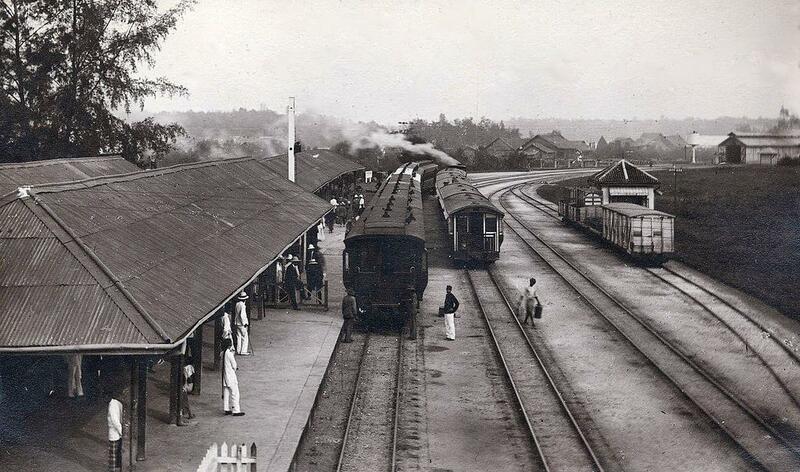 The Klang Valley line was extended from Klang to Port Swettenham on 1st January 1899. Residence of His Highness the Sultan of Selangor and centre of a famous planting district. 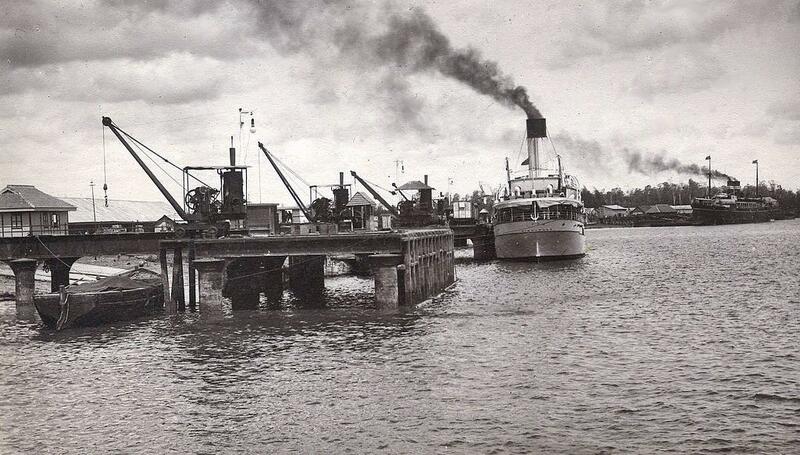 Port Swettenham is its port. 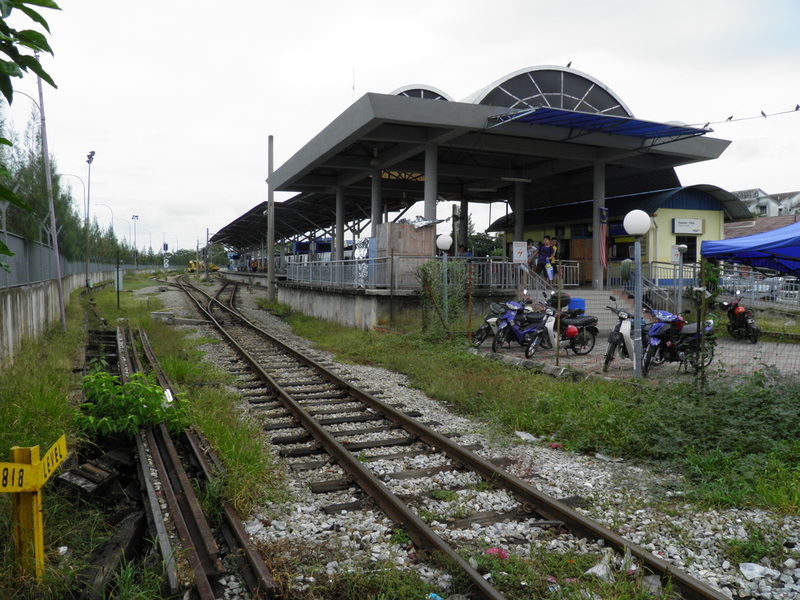 North and south of it lie Kuala Selangor and Kuala Langat, also great planting districts. 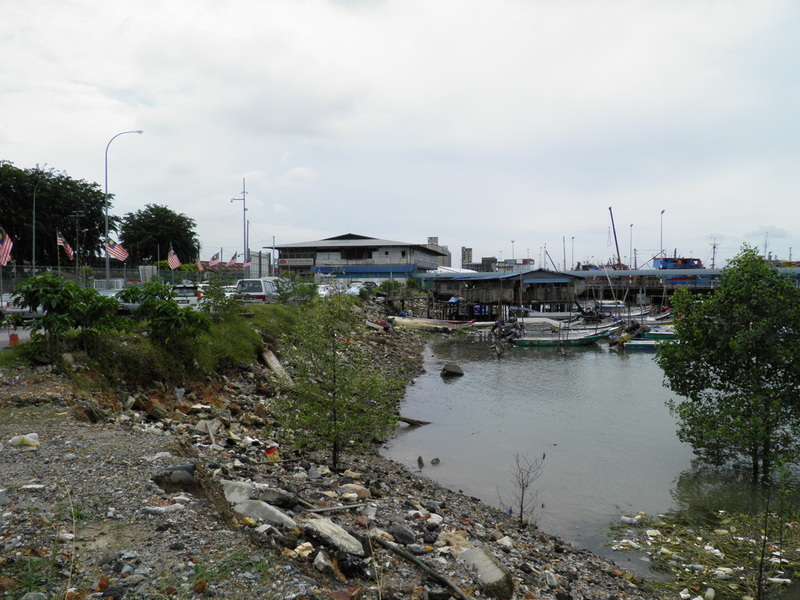 Port Klang is still a busy port with modern container terminals at West Port and North Port. 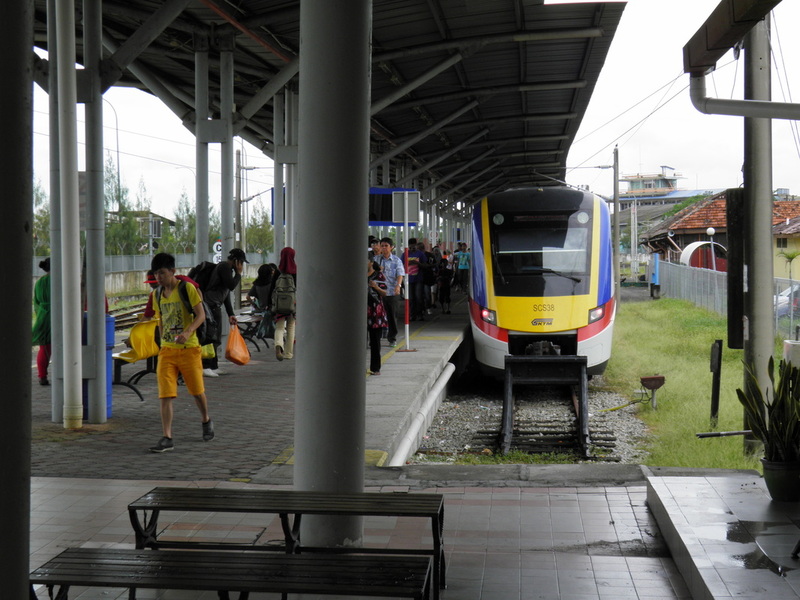 The area around the railway station is where passengers take ferries to Crab Island or international ferries to Sumatra. Here are some recent photos. The station has recently been updated. The station is located next to the Crab Island ferry jetty.